First deposit bonuses remain to be the most renowned promotional offer even in the conventional gambling industry. Because of its high-paying value and simplified acquisition, bettors are able to immediately experience the perks of having the first deposit bonus at hand. 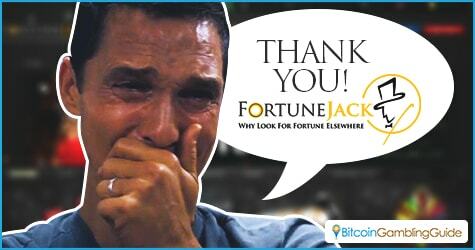 Among the number of Bitcoin casinos that offer this welcome gift, FortuneJack stands out with its unique Bitcoin first deposit bonus. It may seem similar with the majority of deposit bonuses, but this cryptocurrency casino revved up its version to be more gambler-friendly. 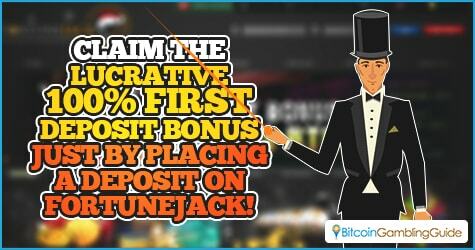 Just like most Bitcoin incentives, the FortuneJack first deposit bonus matches every player’s initial deposit of at least 0.01 BTC with a 100-percent bonus of up to 3 BTC. Gamblers literally double the amount of their bankroll as soon as they fund their account for the first time. This FortuneJack exclusive, however, differs from the rest with the way it is rewarded to its new members. Instead of granting eligible players with the 100-percent bonus amount at once, this casino gives away the bonus in small increments of 2.5 percent of the initial bet amount. This percentage will then be the standard bonus amount for each succeeding bet until the full bonus amount is received. Therefore, players who place an initial bet amount of 3 BTC will receive 0.075 BTC on each bet as the bonus amount. 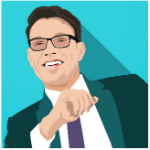 This kind of approach is deemed more advantageous over the lump-sum distribution of bonuses like in most Bitcoin casinos. This setup gives the players more control over the amount of their wagers. Moreover, this FortuneJack Bitcoin casino bonus indirectly demonstrates gamblers to know their limits and not risk gambling their 2.5-percent bonus in order to accumulate its overall total. What makes this welcome bonus more attractive is that users of Litecoin, Dogecoin, CLAM, Dashcoin, Peercoin, Namecoin, Reddcoin, and Monero can also experience the perks and bountiful benefits of this first deposit offer. The bonus amount to be awarded to the new players will be in the currency the initial bet is in. Other than its unique structure, the FortuneJack first deposit bonus is also known to be a gambler-friendly offer that does not give too much pressure on the players’ end. It still establishes a wagering requirement in order to ensure fair gaming, and it requires players to wager the bonus acquired 40 times before they can withdraw and enjoy the full bonus amount. The good thing about this first deposit bonus is that FortuneJack does not establish a time limit for this offer. This gives bettors plenty of time to relax and play the top-notch Bitcoin casino games on board the cryptocurrency casino. Players must be reminded, however, that not all FortuneJack games contribute the same percentage that fulfills the wagering requirement. Online keno and fortune slot give out the highest percentage contribution at 100-percent while video poker games and binary trader give out 20-percent. On the other hand, fortune wheel and Endorphina slots contribute 20-percent to the 40 times wagering requirement while live games only give 5-percent.